Technically, I was never an Easter Rabbit – at least not that I can remember. (Some Easter dinners involved way too much beer.) But when I lived in Boston, I served time as a Beatrix Potter promotion rabbit at a Filene’s Department store. Except that the bizarre outfit looked more like a killer rabbit. The rabbit costume may have been a prototype design for early kevlar vests. Wearing it was akin to donning a dozen winter coats and then being encased in an iron diving bell. Regrettably, the artist who crafted the rabbit’s face was either bitter or bipolar. Instead of a loveable, carefree bunny, this Peter Rabbit looked like he should be swinging a chainsaw in a “Friday the 13th” movie. 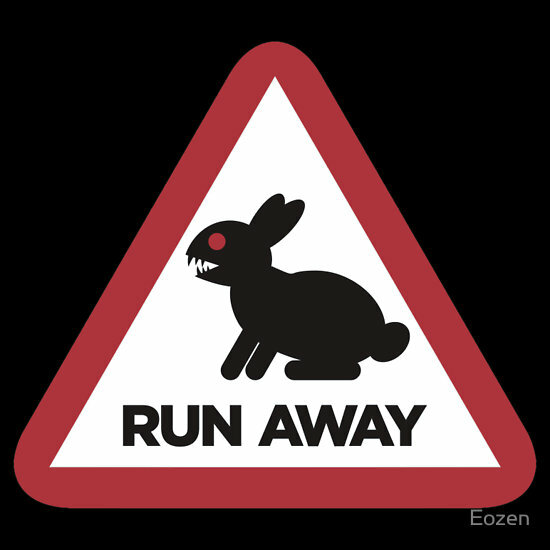 I was the Cottontail from Hell with bulging, bloodshot eyes and a grimace copied from an enraged hyena. As I was lumbering around Filene’s, one hapless woman came around the corner, took one look at me, and began screaming as if she expected to be torn from limb to limb. If the same thing happened nowadays, a SWAT team probably would have arrived and Tasered me just to make her feel better. Filene’s assumed the Beatrix Potter extravaganza would bring out droves of parents and kids. No such luck. So the store was stuck with a giant rabbit and a photographer doing nothing. A quick-thinking manager announced that sales girls could have free “souvenir photos.” (Perks were pitifully few on that job.) I never had so many women clambering on my lap before or since. But the outfit was thick enough that it remained platonic, at least for me. Unfortunately, I never got any of those pictures – otherwise I’d have a far better illustration for this blog. 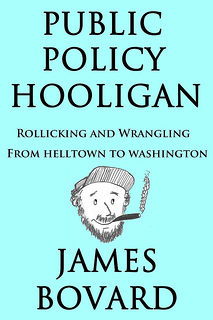 This story is spun off from the “Playing Left Field in Boston” chapter of Public Policy Hooligan, now available as a Kindle ebook.